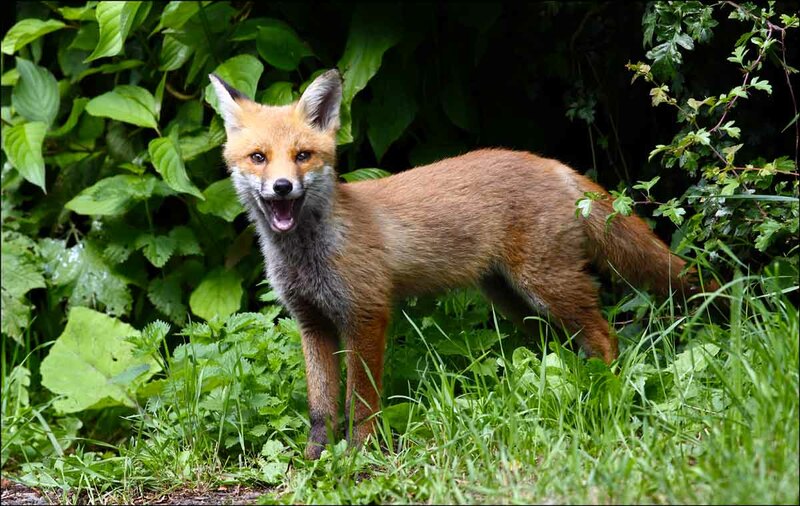 Male foxes are known as dogs, females as vixens, and young as cubs, pups, or kits, a group of foxes is referred to as a skulk, leash, or earth. 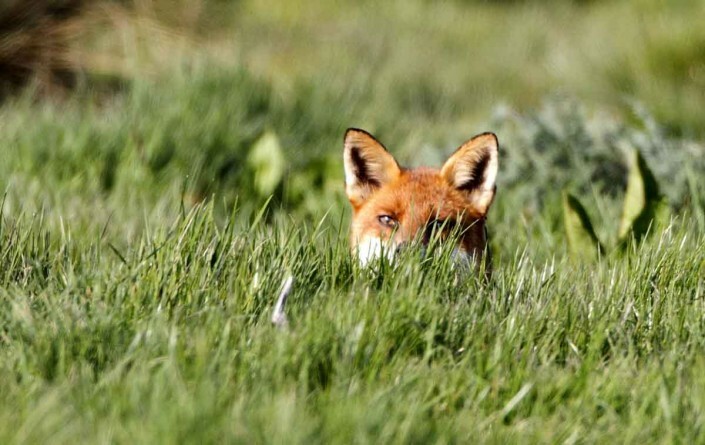 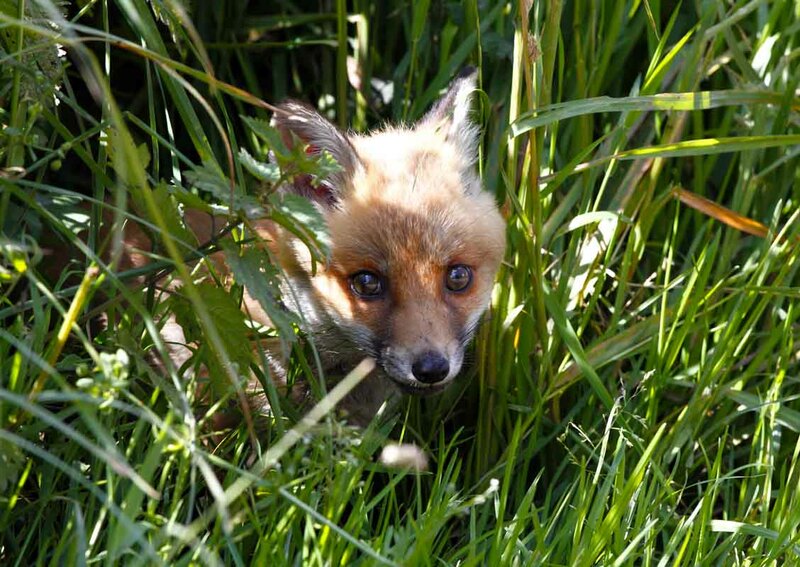 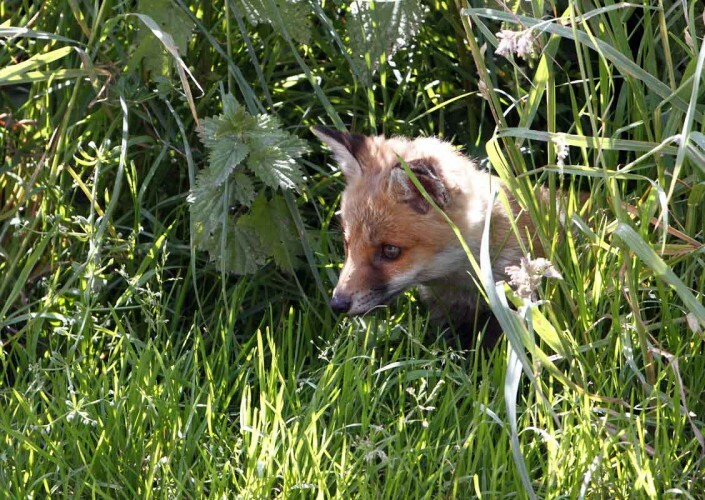 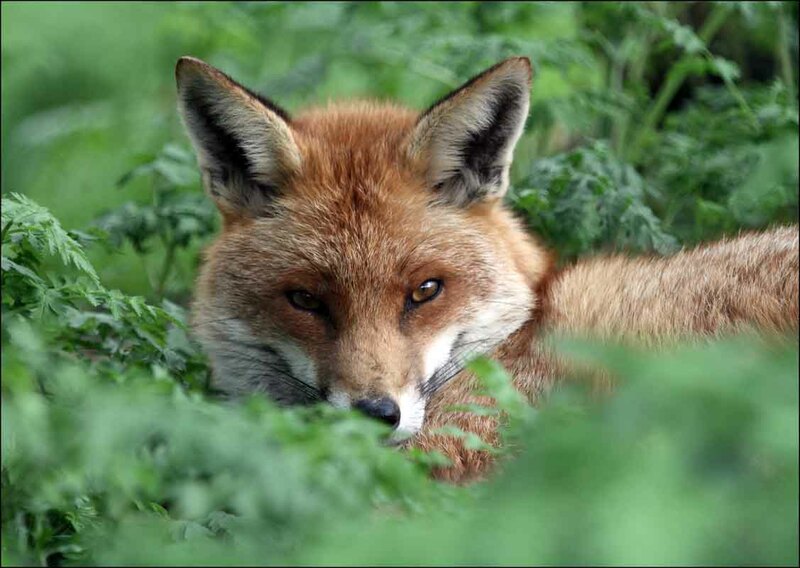 In the wild, the typical lifespan of a fox is one to three years, although individuals may live up to ten years. 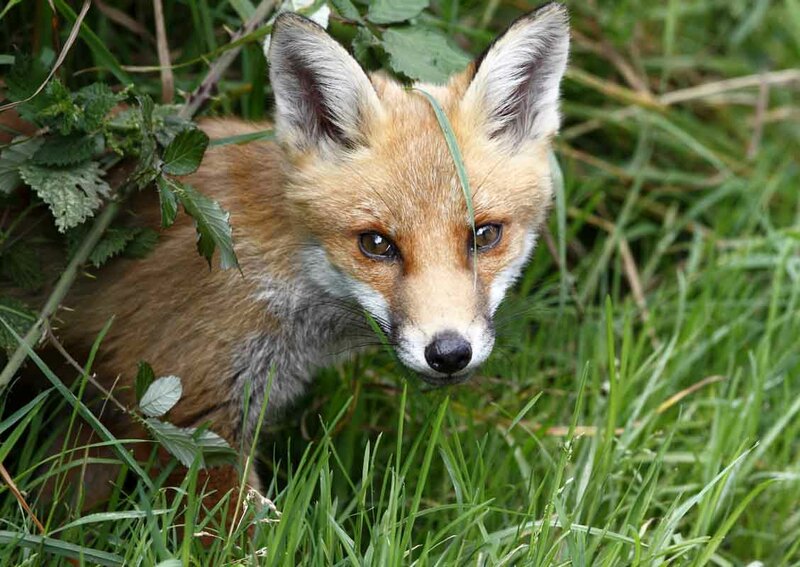 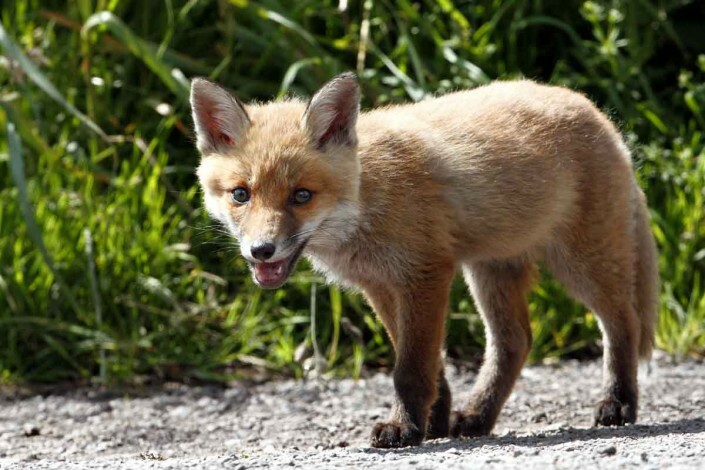 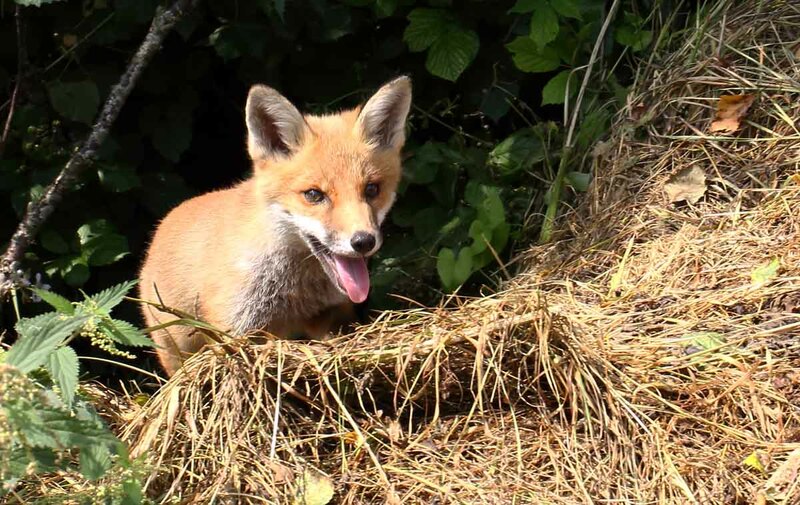 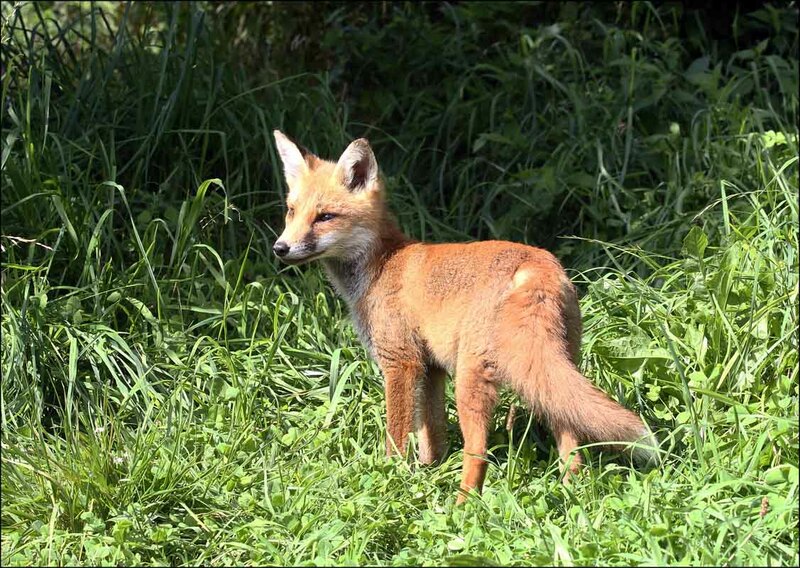 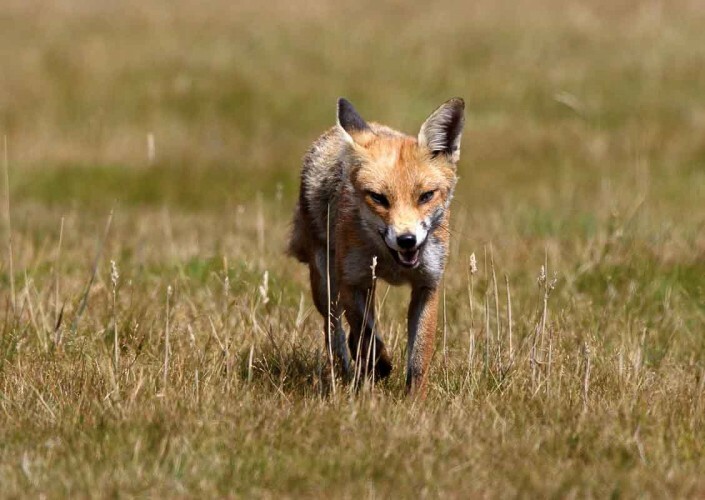 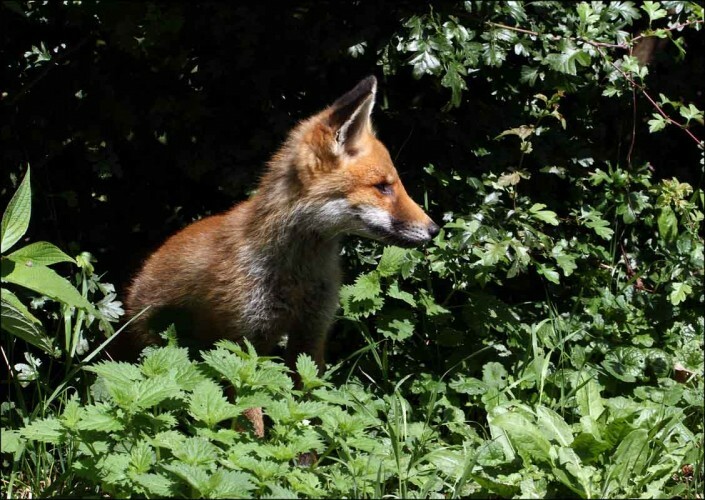 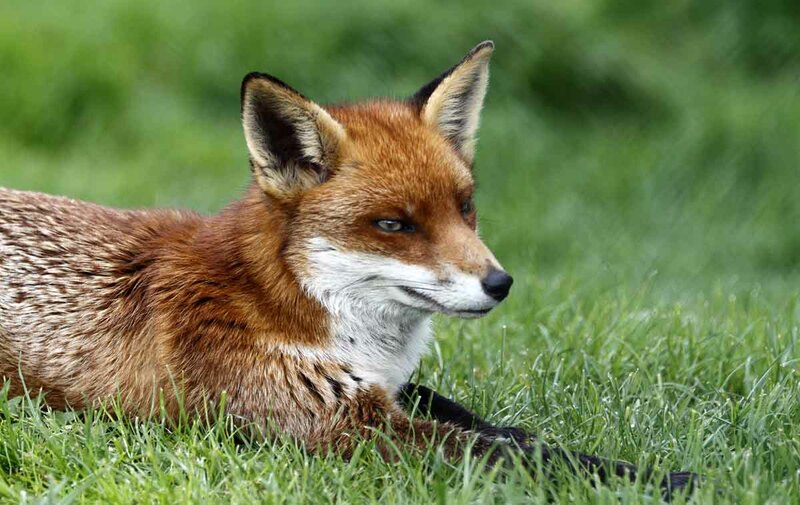 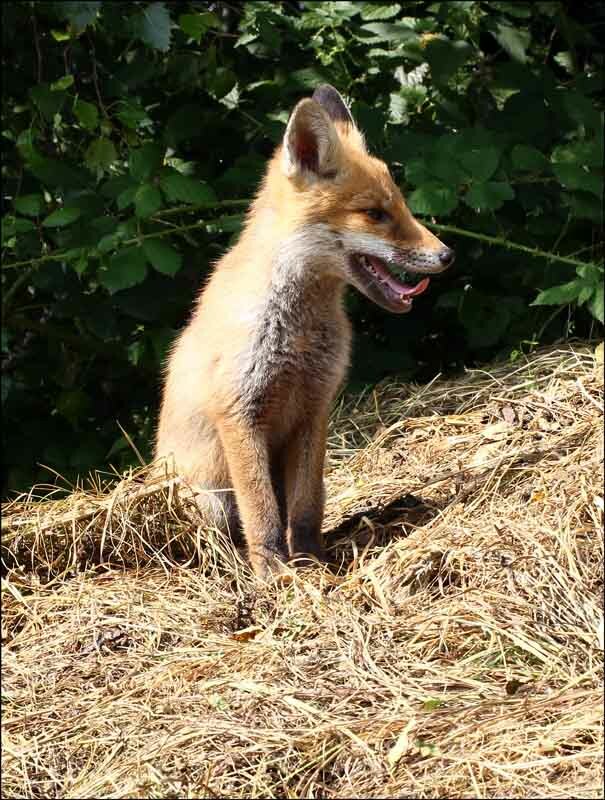 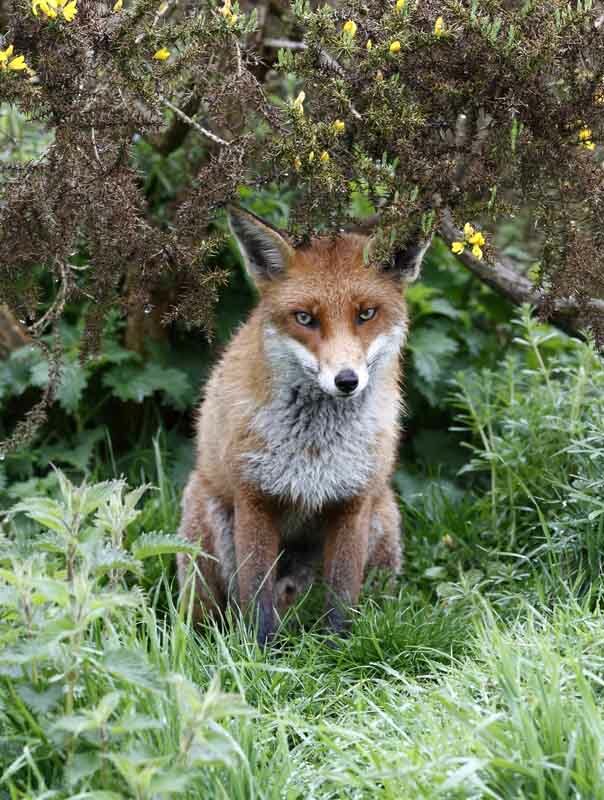 They live in small family groups and are omnivores, the diet of foxes is largely made up of invertebrates such as insects, and small vertebrates such as reptiles and birds, and also can include eggs and plants. 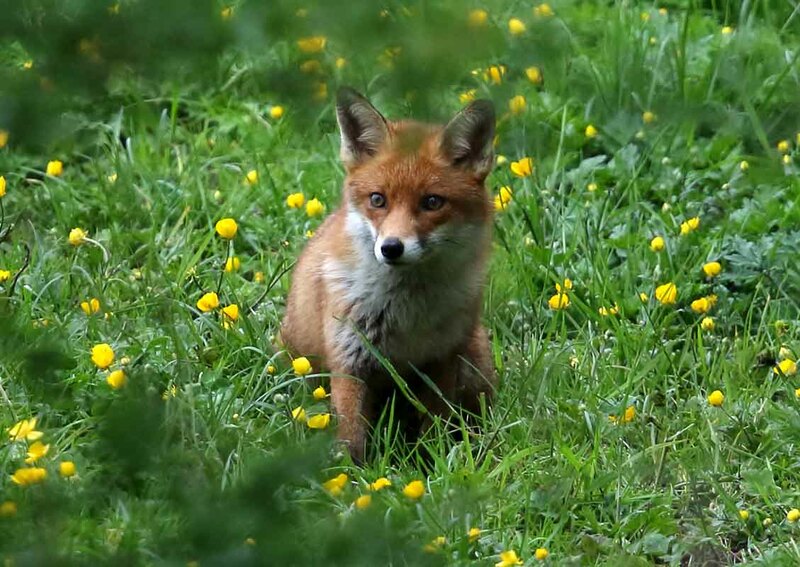 Vixens are in heat for one to six days, making their reproductive cycle twelve months long, they give birth usually to 4 or 5 cubs during March and April. 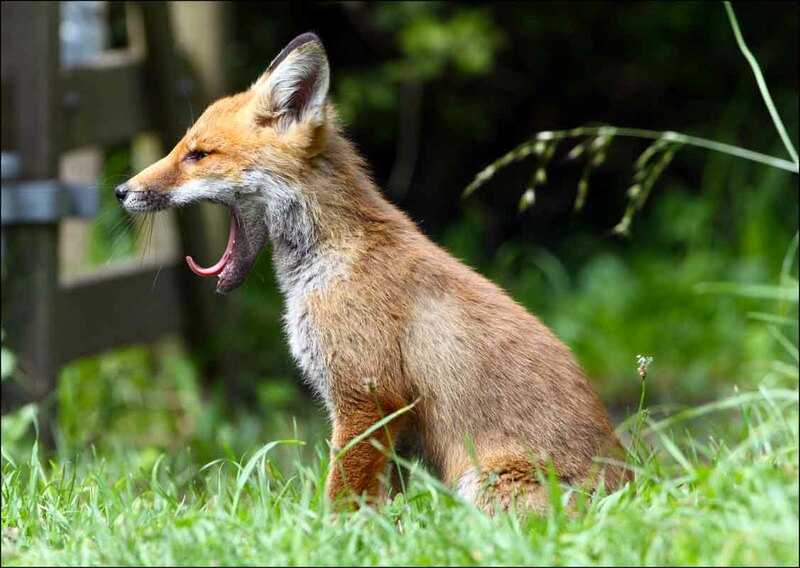 Urban foxes, particularly have been inhabiting and breeding in human-populated areas since the twentieth century. They have adapted well to these environments, taking advantage of man-made features such as houses and gardens to create dens. 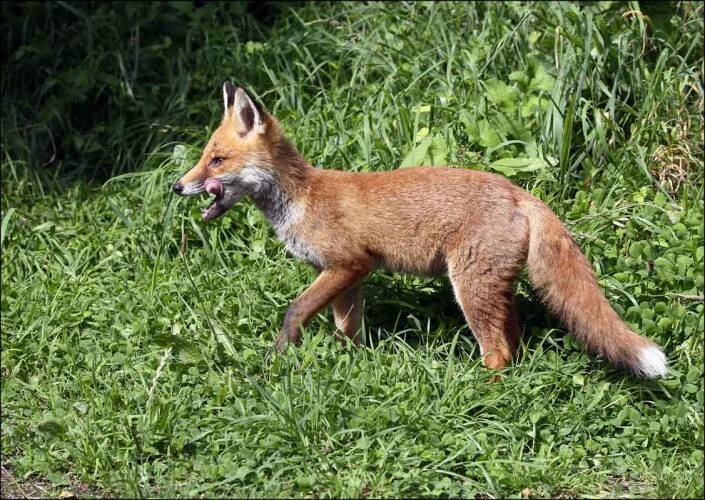 More Mammals — Otters, Squirrels, Hares & Rabbits, Fallow Deer, Muntjac Deer, Roe Deer, Sika Deer, Red Deer, White Red Deer.